I have been doing hot oil treatments since I was pretty young. I remember my mother buying these tubes of oil that were to be left in a cup of hot water for a certain amount of time. My mother would pierce the tube and squeeze wonderfully warm oil all over my head and allow it to sit for about 10 minutes before rinsing out. This was always the best part of getting my hair done. I decided to start making my own hot oil treatments, and it seems as if the gates to some wonderfully happy place just opened up. I started with warming just plain old extra virgin olive oil and applying it to my hair and scalp for about an hour or so. I would then wrap my hair in plastic cling wrap, a shower cap or a plastic bag if that was the only thing available. After rinsing the oil out and shampooing once, my hair was soft like silk and shined so beautifully. I honestly couldn't believe it. I immediately went to work researching how certain oils benefit the hair and scalp. Coconut oil - It stimulates hair growth, softens the hair and conditions the scalp. It also can also help eliminate dandruff! Olive oil - Olive oil is high in the antioxidants Vitamins A and E providing anti-aging properties and it has disinfectant properties, is moisturizing, soothing and healing. Castor oil - Adds strength to your hair, so those of you with thin hair that breaks easily, think about using castor oil in your hot oil hair pack. Almond oil - It helps condition, nourish, and soften hair while stimulating hair growth! Jojoba oil - It leaves your hair soft and light, without weighing it down. All of these oils should be available at your local health food store, and a few of them are available at your local chemist and supermarkets. Dip towel in hot water to make it hot. Ring out the excess water and wrap towel around your head. Warming the oil and towel will allow the hair follicle to open up so that the oils can soak in all the goodness. It's ok if your towel doesn't stay warm for very long, the oils will soak in...trust me! Rinse the oil out of your hair in the shower and follow-up with a shampoo or conditioner. The end result should be soft and shiny hair! May I mix several oils together? Absolutely! 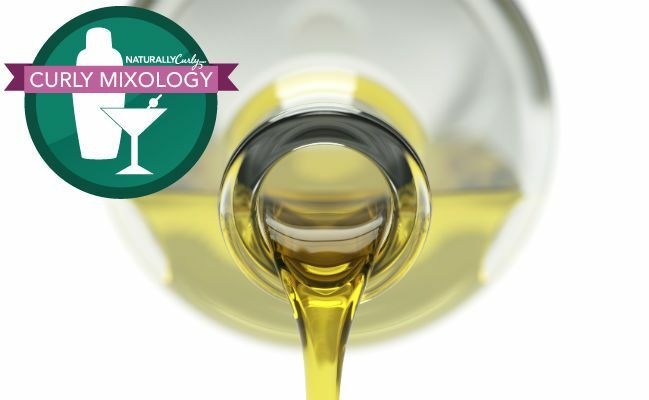 Mix until you find your perfect oil blend. If you suffer from a dry and flaky scalp, you may want to mix coconut and castor oil together in a jar and put it away for those hectic flaky weeks. Do you want to thicken your hair and possibly boost hair growth? Mix almond and castor oil together and go wild. You hair does not need to be drenched in oil, so don't worry about going broke behind this. You can do these treatments weekly if you want and have time. Keep track of how certain oils make your hair look and feel, so that you can find a perfect oil blend. The oil mix need not be very hot, warm oils suffice! This article was written by Kavuli Nyali-Binase via TheGoodHairDiaries and published on CurlyNikki. Are hot oil treatments helping you to reach your healthy hair goals?